In 2011, Super Soldier Steve Rogers made his debut in Joe Johnston’s Captain America: The First Avenger. Influenced by Raiders of the Lost Ark and Johnston’s own 1991 film, The Rocketeer, The First Avenger was designed as a ’40s adventure serial. 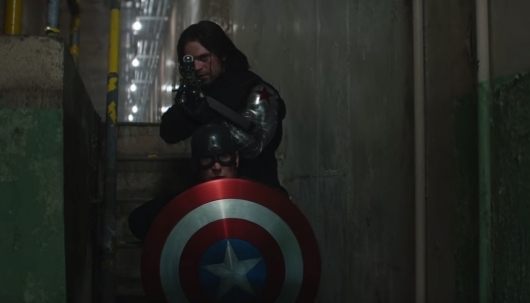 2014’s Captain America: The Winter Soldier, directed by Anthony Russo and Joe Russo, was a ’70s political thriller in the vein of Three Days of the Condor and All the President’s Men. 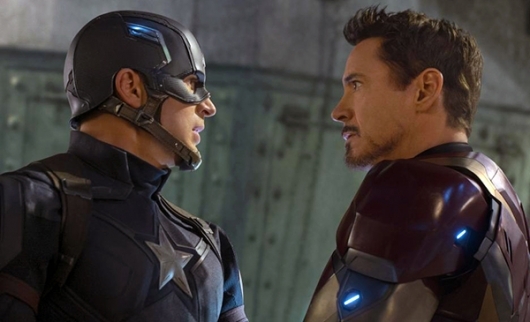 The Russos’ follow-up, Captain America: Civil War, is influenced by movies like The Godfather Part II and The Empire Strikes Back, sprawling sagas that tell intricate stories where every character has an arc. And like those enduring classics, Civil War is a gripping, emotionally resonant film that enriches and deepens a mythology and our connection to it. 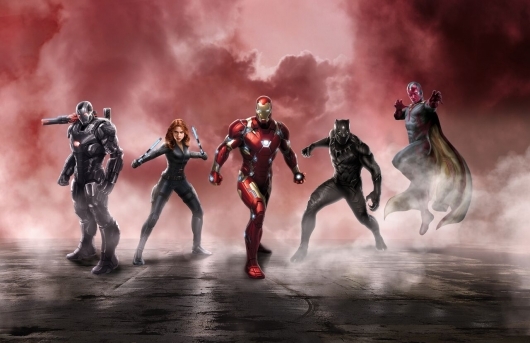 Its greatness lies in the groundwork laid by its predecessors; twelve films that comprise an unprecedented experiment in long-form storytelling, the Marvel Cinematic Universe. Captain America: Civil War finds our Steve Rogers leading a newly formed Avengers to continue to protect the world from lethal threats. But no good deed goes unpunished, and when a routine mission to apprehend a terrorist goes horribly wrong, the United Nations installs a system of accountability, headed by a governing body to oversee and direct the team. This fractures the team, with Steve running a team who is against government oversight and Tony Stark who makes a surprising decision to fully support the system of checks and balances. Last week we shared the top ten things we learned Team Iron Man said at the Captain America: Civil War press conference. 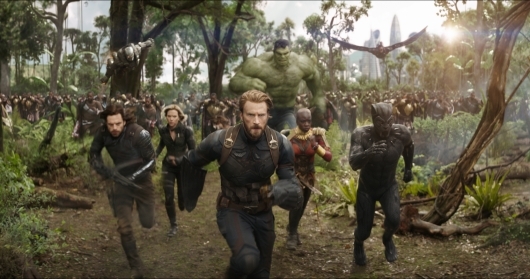 From character evolutions to the new technological advances to telling a more engrossing story, Marvel Studios’ latest film is already being praised as the best comic book movie ever. Now we have the top ten things that Team Captain America. Check out what Chris Evans, Sebastian Stan, Anthony Mackie Elizabeth Olsen, Paul Rudd, Jeremy Renner, and director Joe Russo had to say from their panel at the film’s press conference below. Disney/Marvel has released the second official trailer for Captain America: Civil War, the closing installment of the Captain America film trilogy. 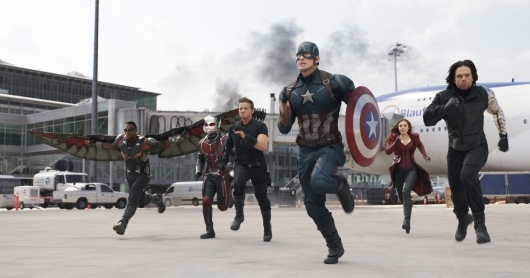 Chris Evans returns to reprise his role as the titular Captain America, who finds himself at odds with his best friend Tony Stark aka Iron Man (Robert Downey Jr.) when he decides to back a government initiative that would allow nations oversight on when they could deploy the Avengers. The conflict puts these two heroes at odds and forces them to recruit fellow Avengers and friends to fight on their respective sides. We’ve recently posted two sets of posters that reveal who is on Team Cap and who is on Team Iron Man. As you may have already seen in the trailers, there has been a certain webslinging hero who has been missing from the entire marketing campaign. So will he make an appearance in this trailer? The short answer: Yes! With a title like Captain America: Civil War, heroes that were once allies are now enemies fighting for a cause. In this case, Iron Man (Robert Downey Jr.) believes that the Avengers have put the world through enough with their vigilante actions and unchecked heroics, and supports a new initiative where a governing body would determine when they would deploy the heroes. However, Captain America (Chris Evans) believes in the opposite. Then there is the fact that his friend, the Winter Soldier (Sebastian Stan) has been discovered, and there are governments who want him to stand trial for his crimes. A lot will happen that will force these two to go to battle against each other, and now, a new set of released posters will give us an idea of who is for a government oversight and who is against it. Check out the six new character posters below.